Chuck Williams has been appearing throughout New England and in recent years has gone coast to coast with his music. He has been traveling to coffeehouses, performing arts centers and festivals sowing seeds of his songs along the way. Chuck has mastered is how to pull at Americana heartstrings and tell rootsy stories through his simple and effective novella type lyrics. Chuck has a personable singing style and it’s not done to impress but express. His music has some of the same energies of songwriters such as David Crosby, John Prine, and definitely Neil Young, while not sounding like any of them. There is something here that a lot of people are going to latch on to, especially in these trying times. Chuck’s music does exactly what it is suppose to do…..it reaches emotions in the listener. It gives words to feelings we all share and provokes thought long after the music is over. His style is unique yet it feels familiar. David Hintz has been performing and writing songs since the mid 1960’s. For reasons he will never quite understand, he put away pen and guitar for many years until the early 21st century. So after a 25 year hiatus David was coerced into going to an open mic in Fort Myers, FL. Scared to death and being extremely shy he performed a few of his original songs and the world hasn’t been the same since. Ross Jordon has been writing songs since he picked up a guitar at age 10. He went on to study music and classical guitar at Rutgers University. 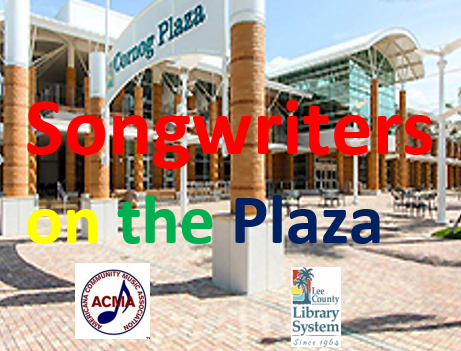 His songs reflect the regional influences from all of the parts of the country that he has lived from New Jersey to the West Coast o the Mid-West and now Southwest Florida, His songs feature catchy tunes and lyrics and audience members can often be seen dancing and swaying and singing along while he performs.